The Sheriff’s Office Law Enforcement Operations Branch is responsible for providing primary law enforcement services to approximately 200,000 people in unincorporated Santa Barbara County and the contract cities of Buellton, Carpinteria, Goleta and Solvang. 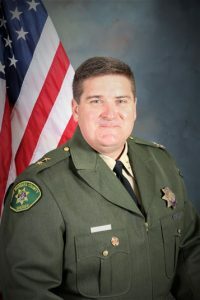 Law Enforcement Operations is led by Chief Deputy Craig Bonner who is responsible for three Divisions: South County Operations, North County Operation, and the Criminal Investigations Division. These services include sheriff patrols, detective services, court security, civil processes and law enforcement records functions. Law Enforcement Operations also includes a number of special teams that collaterally augment the agency by assisting with the mission of keeping the peace and protecting the residents. In 2016, there were 125,272 calls for service for Santa Barbara County Sheriff’s law enforcement personnel assistance, 18,999 original reports written, 8,650 persons arrested, 2,313 traffic citations issued, and 541 traffic collisions investigated. Law Enforcement Operations is composed of three separate divisions North County Operations Division, South County Operations Division, and Criminal Investigations Division. Sheriff’s Commanders, who report to the Chief Deputy, manage the divisions. Approximately 38% of the agency’s total personnel are assigned to Law Enforcement Operations; therefore, it is the most noticeable branch of the department. The North and South County Operation Divisions are both arguably the most visible part of the Law Enforcement Branch. Deputies assigned to those divisions are part of the patrol forces and making the rounds in county areas in marked Sheriff’s patrol vehicles.